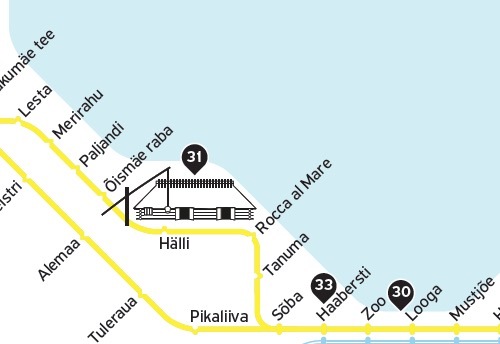 The Tallinn Public Transportation Scheme, including the services of 23 most popular lines and the train. 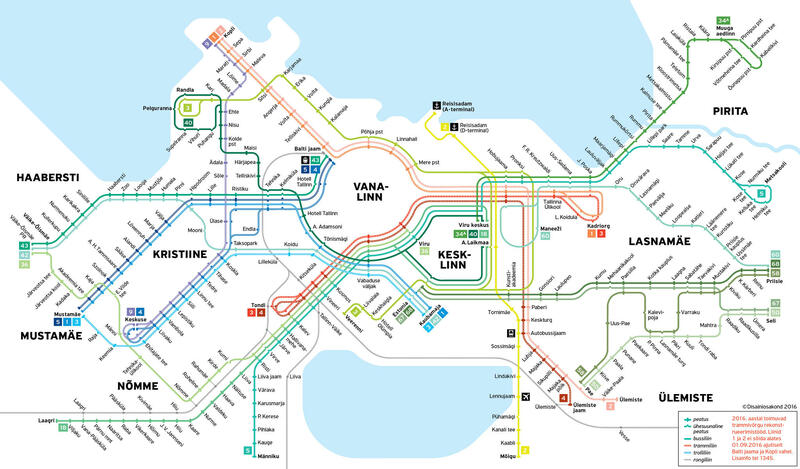 The map depicts different means of transportation as follows: bus – green, trolley-bus – blue, tram – red and train – grey. 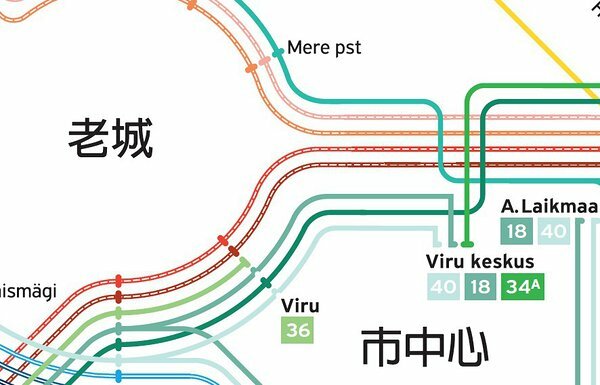 The Transport Scheme is translated to 11 languages (Estonian, English, Finnish, Russian, Latvian, German, French, Spanish, Italian, Japanesse, Chinese) and it can be ordered with the most important cultural landmarks of Tallinn. The Scheme has been developed in collaboration with Tallinn Transport Department and is therefore thoroughly inspected and correct. At the moment we offer the scheme with fresh data from Jan 2016. You can already find the map on the publications and websites of Tallinn Transport Department and Tallinn City Enterprise Department. We offer a periodical web licence or print run based licence.